Safety is paramount and proper communication is what makes safety standards and efficiency not only possible to achieve, but easy to maintain. Any shoot calls for the drone operator, camera operator, director and visual observer to be in direct communication at all times. This allows ease of coordinating shots, avoiding obstacles and communicating any other information throughout the flights. Aerial shoots can be complex with regards to ensuring proper communication not only among the production team but with whatever aerial activity is happening on location. North Star Aerial has all of the equipment to ensure a seamless process from start to finish. Aside from internal communications of the crew, communications with external airspace operations is also very important. 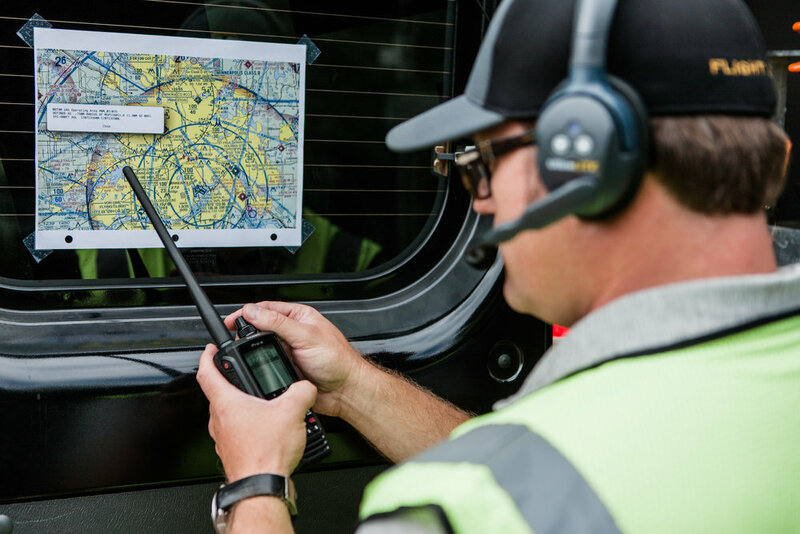 Even when operating in uncontrolled airspace, we have an aircraft radio dialed in to hear of any activity moving in or around the area that we are operating within. We have been using Eartec Wireless and handsfree comms for the last two years and have been very pleased. They have streamlined our communication ability making our on set presence professional, seamless and efficient. We’ve invested time and money to make sure we have all the right tools to get the job done. However, it’s not just the equipment that makes for a smooth production, it’s the team as well. Our team is made up of veteran cinematographers, camera operators, professional pilots and technicians who are ready to work with you and your team to make sure we get the shot. Communication is important at any job, but especially on set of an aerial production.